The popularity of Twitch would eclipse that of its general-interest counterpart; in October 2013, the website had 45 million unique viewers, and by February 2014, it was considered the fourth largest source of peak Internet traffic in the United States. At the same time, Justin.tv´s parent company was re-branded as Twitch Interactive to represent the shift in focus ? Justin.tv was shut down in August 2014. The site has also branched out into music-related streams and content. 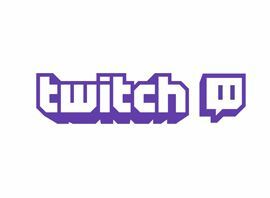 In 2015, Twitch announced it had more than 1.5 million broadcasters and 100 million visitors per month. When Justin.tv was launched in 2007 by Justin Kan and Emmett Shear, the site was divided into several content categories. The gaming category grew especially fast, and became the most popular content on the site. In June 2011, the company decided to spin off the gaming content as Twitch.TV, inspired by the term twitch gameplay. It launched officially in public beta on June 6, 2011. Since then, Twitch has attracted more than 35 million unique visitors a month. Twitch had about 80 employees in June 2013, which increased to 100 by December 2013. The company was headquartered in San Francisco´s Financial District. Twitch has been supported by significant investments of venture capital, with US$15 million in 2012 (on top of US$7 million originally raised for Justin.tv), and US$20 million in 2013. Investors during three rounds of fund raising leading up to the end of 2013 included Draper Associates, Bessemer Venture Partners and Thrive Capital. In addition to the influx of venture funding, it was believed in 2013 that the company had become profitable. On March 24, 2015 Twitch was reportedly hacked and users? details compromised. Users? accounts were reset, but it does not seem that any credit card or other financial information has been made available. However, passwords do appear to have been leaked and the company recommends that users reset their details on any site where they use the same password.